Love this gorgeous post–sea, dancing, laughter, life…. 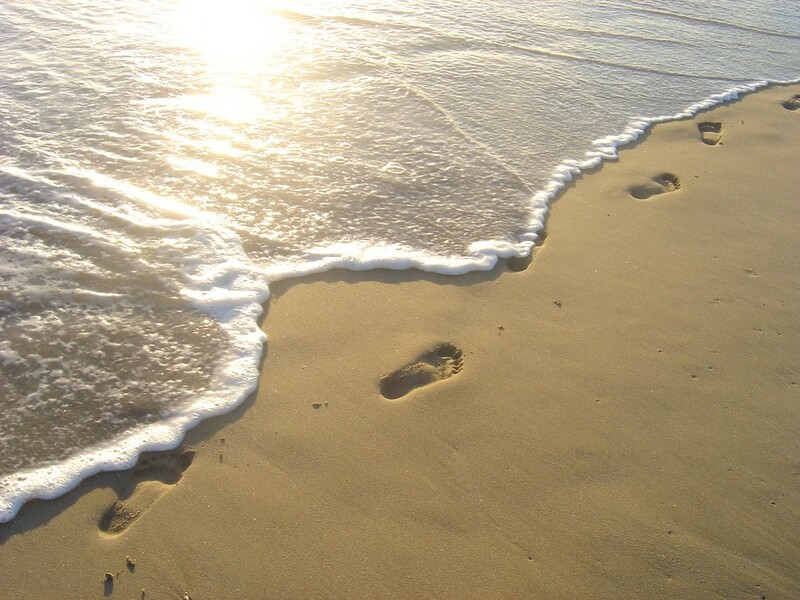 Have you ever walked along the water’s edge in wet sand, leaving behind a transient trail of footprints that will be washed away by the sea? The image is an evocative one, though a little trite perhaps. Many have seen it as an illustration of the fleeting and impermanent nature of our passage through the world.